What is your wooded property really worth? Find out with a standing timber appraisal from BW Timber Harvesting. Are you a landowner thinking of selling your wooded property? Do you merely need to know the total value of your land, including its standing timber? If so, you need an impartial standing timber appraisal by an experienced professional. 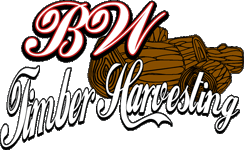 You’ll find that combination of experience and expertise right here at BW Timber Harvesting. A landowner may seek out a timber appraisal for a variety of reasons. You can schedule such an appraisal as a standalone evaluation, in connection with a forest stewardship plan, or as part of a larger real estate appraisal. The findings can provide crucial data, not only for knowing the true value of your real estate, but also for estate planning, federal income tax filings, and estimating future timber sale revenues. BW Timber Harvesting is the logical choice for your standing timber appraisal. We offer 20 years of experience in the field, including a detailed knowledge of the various kinds of wood and timber we evaluate – as well as a sterling reputation for honesty and integrity. Remember, what’s in the landowner’s best interest is also in our best interest as timber harvesters, so we’re highly motivated to get you the best return on that investment. Our connections with reputable buyers means we can get you the best price for your timber. We’ll also make sure your timber sale meets all the requirements of federal and state law. How much do we charge for the appraisal itself? Absolutely nothing! We will be happy to visit your property, walk the land, and evaluate both the volume and the quality of your trees. We will then give you our appraisal value of your timber – at no charge to you.